We are delighted to offer this most pleasant mid terrace stone built house in the popular village of New Kyo. The house is in a quiet residential street with an open aspect to the rear. Comprising of two generous double bedrooms, large open plan lounge, dining room, well sized fitted kitchen and bathroom. Gas central (combination) heating and PVCu double glazing for energy efficiency, and alarm and door locks fitted to keep the insurance companies happy! Rear yard with parking both to front and rear. 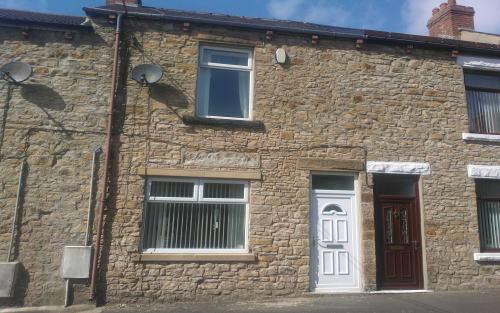 Conveniently situated for all local amenities and with easy access to Stanley, Annfield Plain and Consett. Excellent public transport links within minutes to Newcastle, Durham, Washington and Sunderland. A clean, bright house - this property will make an ideal comfortable family home and we would encourage early enquiries as it will be well sought after by those looking for a very nice property at a VERY ordinary price! Long and short stays will be welcomed.